If your child suffers from vision problems, you surely want to do anything and everything in your power to ensure that he is able to see. This is important not only for his ability to navigate the world now and in the future, but considering that the majority of learning done in our school system in based on visual instruction, the truth is that he’ll have a much easier time if his eyesight is unfettered. On the other hand, your first instinct is probably to avoid the dangers inherent in surgery if at all possible. Although you might eventually exhaust your options and settle on surgery, depending on the condition that is impacting your child’s eyesight, you should definitely gather information on alternatives therapies. 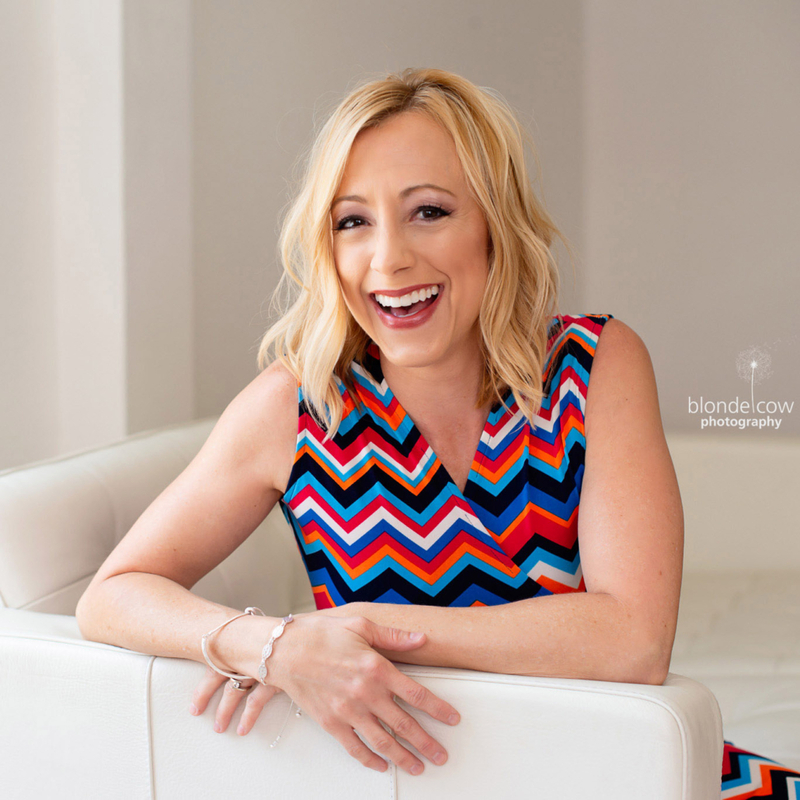 And if you happen to lean towards natural and non-invasive options, you’ll be happy to hear that there are a few things you can try. 1. Food. You’ve no doubt heard the adage “you are what you eat”, and there’s actually some merit to the statement. The foods you give your child provide essential nutrients that will help him to grow and develop, and you can use this knowledge to provide foods that are proven to benefit eyesight. Foods rich in omega-3 fatty acids, and particularly DHA, boost eye health in a number of ways. And while the best source is salmon, you might not want to risk too much mercury in your child’s diet. Flaxseed and walnuts are also good sources. Antioxidants like beta carotene and lutein also support eye health and help to prevent (and even reverse) some types of damage (like that caused by the sun). Good sources include leafy greens, carrots, pumpkin, and eggs. And you might be surprised to learn that sulfur-rich foods like garlic and onions can help to prevent cataracts, although you probably know that kids don’t tend to like them much. 2. Vitamins. It’s practically impossible to get all the nutrients you need from food, and kids can be pretty picky about what they eat on top of it. So you might want to talk to your pediatrician about the prospect of giving your child a daily multivitamin that will ensure he gets all the vitamins and minerals he needs for overall health and wellness, not to mention those that will help to make his eyesight strong. 3. Adequate rest. Kids can be temperamental when it comes to bedtime, but it’s your job as a parent to make sure that your child is receiving adequate rest. So if you have trouble getting him down for the night, he awakens frequently, or he rises early, there are a couple of steps you can take. First, cut back on sugar intake, which will only keep him up. Then make sure that you don’t give him water right before bedtime and that he uses the restroom before going to sleep. Finally, think about implementing mandatory naptime. This will give you a much-needed break during the day and ensure that he gets all the rest he needs to support healthy vision, not to mention mental wellness. 4. Exercises. Just like any other part of your body, your eyes can atrophy if they’re not properly exercised. Since a child’s eyes are still developing, you don’t want to work them to hard, but easy exercises like eye rolls and changing focus (from an object up close to one far away) can help to strengthen eye muscles and potentially prevent vision problems. 5. Eco-friendly eyewear. 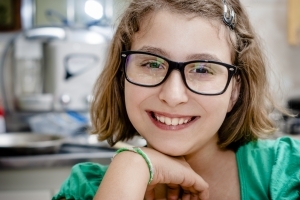 When you’ve exhausted natural options like diet and exercise, the next step is to think about whether or not glasses can help your child to see. And there are plenty of international eyewear brands that offer eco-friendly options. One of the best may be Eco, which is certified by independent product evaluator ULE to feature 95% recycled materials. Proof Eyewear is another option that makes cool, modern frames from sustainable wood. And you can always look for vintage glasses that can be outfitted with new lenses as a means of recycling, although you might have a hard time finding eyewear for your tot by this last method. On the upside, all of these options are preferable to surgery. This spice-infused soup reminds us of everything to love about Fall weather – cool evenings, chats by the fireplace, and the changing colors of the leaves. Made to serve a crowd, it can be cut in half if need be. Preheat oven to 375* with oven rack in middle of oven. Peel and dice all vegetables, keep all cuts the same size. Place diced vegetables in a bowl and coat with 3 tbs olive oil and 2tsp salt. Pour coated vegetables on a baking sheet and bake for 25 minutes or until fork tender. Stir vegetables around half way through cooking (not looking for browning, just cooked evenly). While vegetables are cooking, place a 2 quart sauce pan over medium heat. Pour Almond milk, soy milk, allspice, nutmeg, cinnamon, white pepper, clove, cayenne, minced garlic, minced onion and salt into pan. Bring all ingredients to a simmer (Do not boil) and cook for 5 minutes. Once vegetables are soft place all vegetables and seasoned Almond/soy milk in a 8 cup blender. Starting on low speed blend until smooth. You may add more almond or soy milk to thin bisque as wanted. 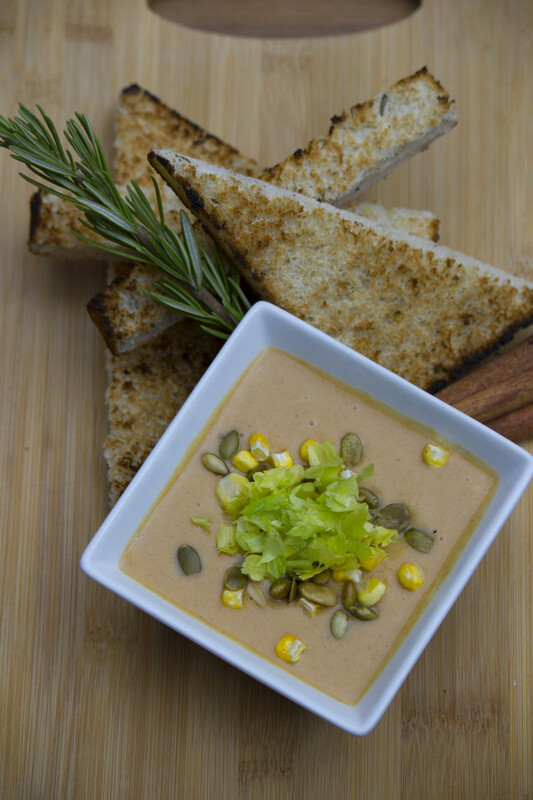 Pour soup into bowl and top with pumpkin seeds, dried corn and celery tops. Makes 10, 6 ounce servings (Vegan/ Gluten Free). Family traditions during the holidays always include a pumpkin – for carving, eating or both! Creamy pumpkin desserts are notoriously high saturated fats, but don’t despair – adding tofu is the perfect way to lighten up your favorite recipes. By incorporating tofu into pumpkin dishes, it makes dessert a better health choice while keeping traditional flavors intact. 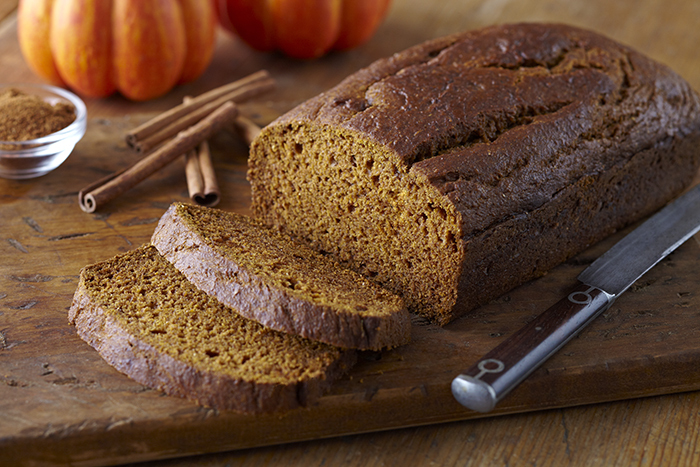 Pumpkin lovers can rejoice with the new recipe from House Foods – Tofu Pumpkin Bread – a fragrant loaf with spices of cinnamon and ginger. 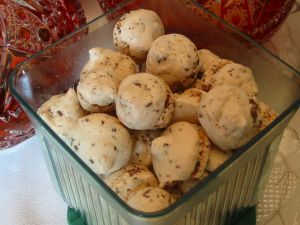 The not-so-secret ingredient is their creamy tofu, which makes a perfect substitute for any dessert. In a separate bowl, whisk together flour, baking soda, salt, ginger and pumpkin spice. Combine dry and wet ingredients. Mix thoroughly and pour into loaf pan. Bake in preheated oven for 1 hour at 350 degrees. Cool about 1 hour before serving. To stay relaxed and calm as the kids are back in school and we head into the busy holiday season, Geranium essential oil is an excellent choice! With a vibrant scent of lemony rose, it delights the senses yet calms the mind, and can be used in a variety of ways for natural beauty and aromatherapy! Aura Cacia offers several ways to use Geranium essential oil in your daily beauty routine, from massage to homemade cleansing facial wipes! As “Mom” is a former massage therapist, she tried the the massage oil blend using Geranium and Sweet Almond Oil. She found it to be a delightful choice for soothing tired soles or relaxing the body while being massaged! Whether for use at home or while traveling, aromatherapy using Geranium essential oil is a 100% pure and natural way to relieve stress, keep emotions calm, and stay focused. 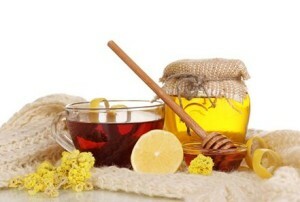 You can learn more about essential oils and their uses online at AuraCacia.com. You’ve heard the benefits of eating kale, but you just aren’t sure how to incorporate it into a family-friendly dish! Well, how about adding it into this simple and healthful whole wheat pasta dish, topped with fresh Pecorino cheese! Cook spaghetti in a large pot of salted boiling water according to the box. 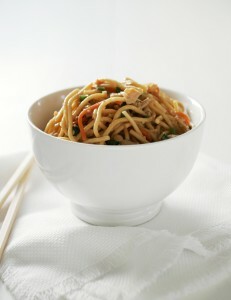 Before draining, reserve about ½ cup of the pasta water. 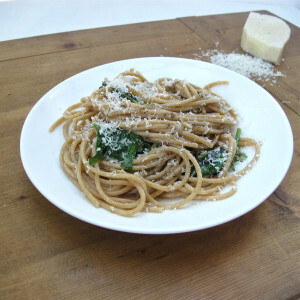 Return drained spaghetti to the pot and toss with Tessemae’s Cracked Pepper Dressing and half of the Pecorino cheese. Add half of the pasta water, then remaining Pecorino and continue to toss. Add more pasta water if needed to loosen. Fold in the kale. Serve pasta topped with more pecorino and a drizzle of Tessemae’s Cracked Pepper Dressing. Did you know that the average household throws away an estimated 15% of the food that comes into the kitchen? If you spend $100 a week on food, that means you’re throwing away $15 a week, $60 a month, and a whopping $720 per year. And it could be a lot more. Not only is this wasteful but it’s bad for your budget. Just think of what you could do with that money! Luckily, there are tons of ways to get a handle on your food waste and save some money in the process. Here are some strategies you should definitely put into effect. 1. Go Euro. We have a tendency to plan our meals for the week, buying all of the ingredients in one fell swoop. But this can be problematic in terms of food waste because fresh items may go bad before the week is out and many nights, overworked parents end up ordering takeout instead of going to the added trouble of making a meal after a long day at work. So take a page from the European playbook. Traditionally, Europeans tend to visit their local, neighborhood market daily to get whatever fresh items they need for their meals. This is a great policy that not only ensures variety and that your foods are at the peak of freshness, but also that there is less food waste from spoilage. 2. Cook in bulk. If you have a lot of extra food in your fridge and you fear it will go bad, simply cook enough for several meals and freeze it in the serving sizes you prefer. When you need a quick meal, all you have to do is thaw and heat your frozen meals. It’s an easy and economical way to use your food instead of letting it go to waste and it makes for easy meals on nights when you just don’t feel like cooking. 3. Make smoothies and sauces. If your fresh produce has a tendency to go bad, consider that there are uses for fruits and veggies that have gotten a little too ripe to look appetizing. So long as they’re not moldy or melting, many fruits and vegetables can be made into delicious smoothies with milk, soymilk, juice, or even water as a base. And if you want a cool and healthy treat for the kids, pour your smoothie into popsicle molds (you can order them on Amazon). As for other veggies, consider steaming them, throwing them in the food processor, and then simmering to make delicious pasta sauces that you can save for later. Produce could also be canned and jammed for later use or to give away as gifts. 4. Host a potluck. Rather than throw food away because you accidentally bought more than you ended up using this week, invite family and friends for a potluck. You can use up all the extra ingredients in your kitchen before they spoil and your guests can provide side dishes or dessert. 5. Use what you’ve got. Every so often, say once a week, it pays to go through your fridge and pantry to see what you’ve got and figure out how to use it in a timely manner. Whether you want to spice up your leftovers or you’ve got a bunch of random ingredients, you can find ways to turn them into appetizing meals with a little creativity. Instead of ordering pizza for dinner, pull out your fondue sets, get some sauces bubbling, and use them for dipping extra veggies and leftovers from the week. Or use a website like Supercook.com or MyFridgeFood.com that allows you to enter ingredients from your kitchen in order to find recipes that you can make with them. You’ll use up anything that might go bad and save some money in the process. This dish packs in the protein and veggies, and is great served hot or cold, making it an excellent lunchbox choice! Bring a large pot of water to a boil (with parental supervision), add salt if using. Add the pasta and cook until al dente, 8 to 10 minutes. Drain pasta and reserve ¼ cup cooking water. Briefly rinse pasta under warm running water. Set aside. For an icy snack, whirl up this mix of fruits and sweet white grape juice. Using the ripest fruit gives the sweetest flavor. For honeydew melon, this means taking the paler, juicier part near the center of the melon rather than the green flesh closer to the rind. The banana should be super-ripe. 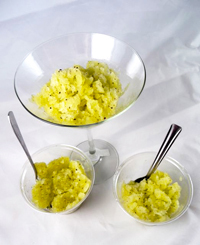 Place the frozen melon and kiwi in a food processor. Slice the frozen banana and add it to the other fruit. Pour in the chilled 100% juice. Whirl and pulse until the mixture is an icy slush. Immediately spoon the slush into plastic cups and serve. Get a handle on your allergies from home by simply making some easy changes that can improve the overall health and air quality of your household. If allergies are something that you regularly struggle with, but have not found a way to beat the stuffy nose and itchy eyes, these top five tips are sure to help. Whether you have a common allergy to pollen or are dealing with more severe allergies that can trigger asthma attacks, start living a healthier lifestyle today by making these necessary changes and upgrades. Indianapolis gas fireplace cleaning services are highly recommended for those who use their fireplaces regularly. Maintaining your gas fireplace by having it cleaned and maintained on a regular basis can help to keep you safe and your fireplace operating correctly. By skipping annual maintenance, the ventilation system can become backed up, causing allergens to circulate around the home and even the potential for deadly gas leaks. Simply maintaining your fireplace can be beneficial for your allergies. Fight off seasonal allergies with the help of air ability HVAC services. Because pollen and other allergens can easily make their way into your home through cracks, open doors and open windows, opting to regularly maintain your air conditioning system can help greatly. Having your AC unit cleaned regularly can remove dirt, dust and debris that can built up within the filters and vents which may circulate around your home without you even knowing it. In addition to improving the air quality and air flow around your home, you may also choose to take advantage of other at-home solutions for your allergies such as the Neti pot. By simply filling the pot with a saline solution and flushing it through each nostril, you can be well on your way to naturally dealing with your allergies with absolutely no side effects. If seasonal allergies are something that you constantly struggle with, there’s no need to make them any worse than they already are. While you can’t lock yourself inside all season long, avoid mowing the grass which can trigger your allergies from the pollen and grass clippings. Instead, get a handle on your allergies by enlisting a friend, family member or neighborhood kid to mow your grass for you. Steam clean your upholstered furniture and carpets throughout the house to help control allergens found deep within. This should be done on a regular basis. While you may not see them, there are always allergens that are lurking throughout all corners of your home. By taking advantage of these tips, you can help to control them and eliminate your seasonal allergies.